Elements of Wisdom: Traditional Chinese Medicine. – NATURES' FIRST PATH: HOlISTIC MEDICINE. Posted on May 27, 2018 April 3, 2019 by Natures First Path: Holistic Nutrition. At Natures First Path, a special point has been made over the years to highlight and let you , the reader know about critical healing modalities that still has major relevance and importance in the world today. We have discussed the modalities coming from the healing practices of Africa, went over the types and ways Unani and traditional native medicines can impact your life, and now with this particular piece it is very important that you are made aware of the vast and wide contributions that Traditional Chinese Medicine has made in terms of Holistic Healing. Traditional Chinese Medicine has been practiced as we know it for at least the last 5,000 years. 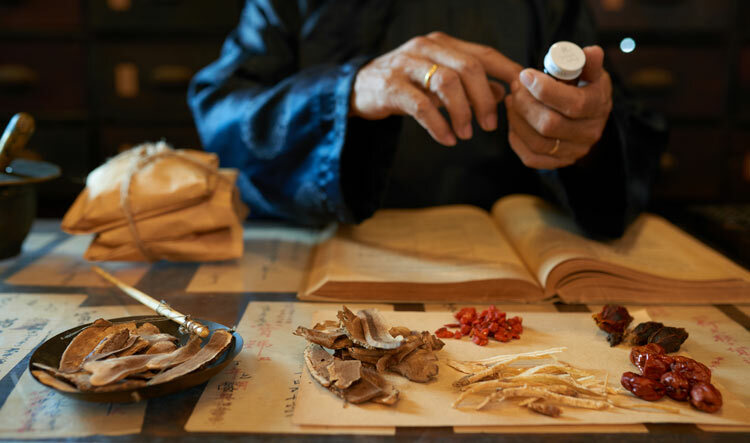 It would nearly be impossible in this short amount of space to cover TCM (*Traditional Chinese Medline ) in this short amount of space, but what I can do is give you a general overview as to why a piece on TCM has made it to the Natures First Path site. Naturopathically speaking, TCM is very closely aligned with the core concepts of Holistic Health in the fact that it also says that health at its true and cellular core is about the promotion and balance of internal energy. In addition to that it takes into consideration of how the elements found in the world also resonate and interact with the Human Being; in order to bring balance both internally for the human and externally as it manifest on the earth. In Chinese, the 5 elements are known as Wu Xing, meaning the 5 Movements and Change. These elements are: Wood, Fire, Earth, Metal and Water. According to TCM these 5 fundamental element types are linked and correspond to the different organs located in the body. From there; there is a correlation of body and personality constitution. Finally it is all synthesized through the derivatives of hot, warm and dry, cold, damp and moist. While all of this sounds very complex, and it can be depending on each individual person, the overall goal of the practice is to bring harmony and the best state of health for the person. But what’s considered most significant in its place among natural healing is TCM’s core principles about food. In this present day and time, a majority of the worlds illnesses are directly related to the foods that we are consuming and our inability in eliminate the toxic properties in those foods in a quick manner. Please see below, TCM’s three fundamental understandings on how food impacts health. Food is the Cornerstone of Life. This idea and understanding is also one of the first core principles in Naturopathy. It is essential to get the right balance of foods with the right energetic properties to maintain and nourish life: all life. In addition to this the right foods are needed to keep disease away while at the same time extend the Life Force so that it may run its full course. Some Foods can be harmful or cause Illness. Just as every person is unique and singular, some foods can cause reactions and imbalances if eaten immediately. But also beyond that, knowingly eating foods that are consistently devoid of Life Force can set the pattern in motion for chronic illness. Timing and consumption of the right amount of foods are critical so as to not overload the stomach. Being aware of eating the full range of flavors is what brings balance in this area. Undigested Food can Block and Hinder the Digestive tract Which May Cause Illness. The purpose of food is to provide nutrients that must be assimilated in the body in order for it to work properly; if foods are not broken down and digested properly the correct assimilation of nutrients cannot occur. Foods and herbs have a specific function and duty beyond what is apparent just by looking at the outer exterior of a food and herb; it is also important to also see its intrinsic value. Just keeping these ideas in mind are enough to create major change in the world today when it comes to health and wellness: food matters more than many in the standard health care world would care to admit. But things are slowly changing and there at least is a movement of merging of the minds when it comes to an integrative approach to treating illness and the state of our present food choices. With health and continued love to you and your families.